Radiotherapy and Ayurvedic Treatment | Cancer Research Project - Ayurved Hospital and Research Center - Bharatiya Sanskriti Darshan Trust . :Ayurveda for Cancer:. 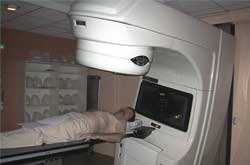 Radiotherapy is one of the treatment modalities of Cancer Treatment in Modern medical science. Radiotherapy definitely helps in reducing tumour size & prevent further growth of the disease. At the same time, it is a well known fact that many patients have lots of sufferings due to Radiotherapy side – effects. Radiotherapy produces side – effects like Local burning, itching, discoloration, ulcers, rashes, Herpes, Loss of appetite, Anorexia, Stomatitis, Weakness, Loss of weight. Sometimes these side – effects are very severe & due to which patient can not complete Radiotherapy course. Cancer Research Project of Ayurved Hospital & Research Centre has treated more than 600 patients undergoing Radiotherapy. It is observed that side – effects of Radiotherapy are remarkably reduced with Ayurvedic treatment & patients can tolerate Radiotherapy. Radiotherapy medicines mainly produce local symptoms due to increased heat in body. In these conditions, Ayurvedic line of treatment produces cooling effect & relieves symptoms like local burning, ulcers, rashes. Patients undergoing Radiotherapy also suffer from Loss of appetite, Anorexia & Vomiting. Ayurvedic treatment is beneficial in improving digestion in these conditions. Beneficial diet is an integral part of Ayurvedic treatment. Diet which is light for digestion but nourishing is beneficial during Radiotherapy. Mainly liquid diet like soup of green gram, rice gruel, semolina porridge, vegetable soup, fresh fruit juices, buttermilk, coconut water, medicated water are recommended. Skin discoloration is a common side effect of Radiotherapy which is mainly a cosmetic problem. Application of some medicated oils or ghee after completing Radiotherapy is useful to improve texture & colour of skin. In case of severe Radiotherapy reactions, patients are reluctant to continue Radiotherapy. 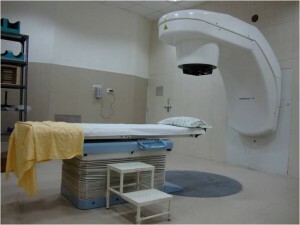 In that case, along with Ayurvedic treatment counseling is done to continue Radiotherapy. It helps to boost up the courage / confidence of patient.